This Living Room is currently being used as a Dining Area, but just imagine adding a few couches here, chatting & entertaining your guests. These south-facing windows are solar tinted and run up to the ceiling offering loads of natural light! 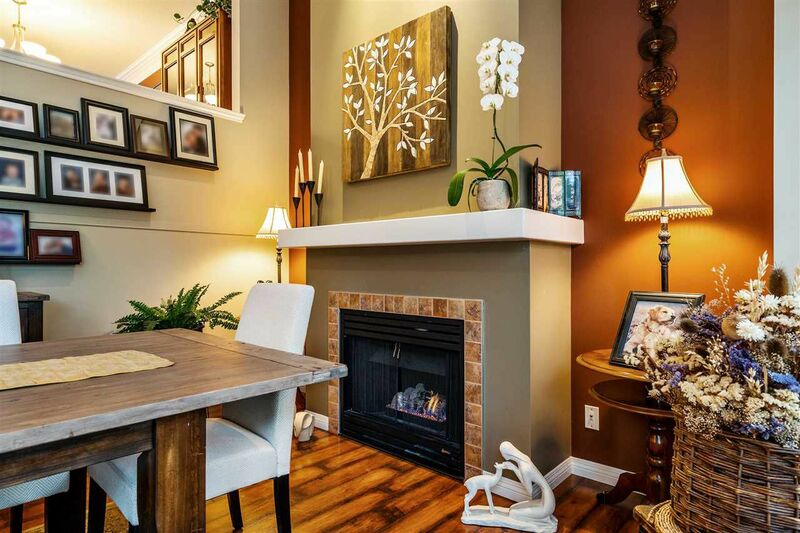 This fireplace adds not just heat to your home, but a sense of coziness and comfort. 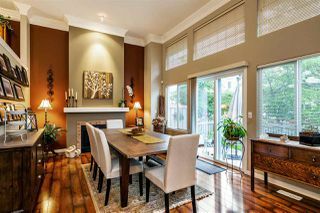 Walk up to the Dining Room which due to this unit's unique design, offers light from both the north & south side of the townhouse. 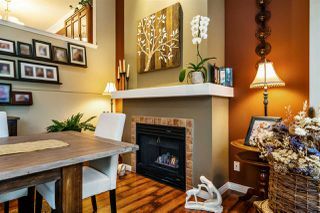 Imagine spending your family dinners here! 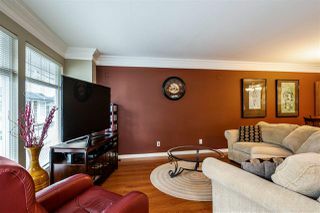 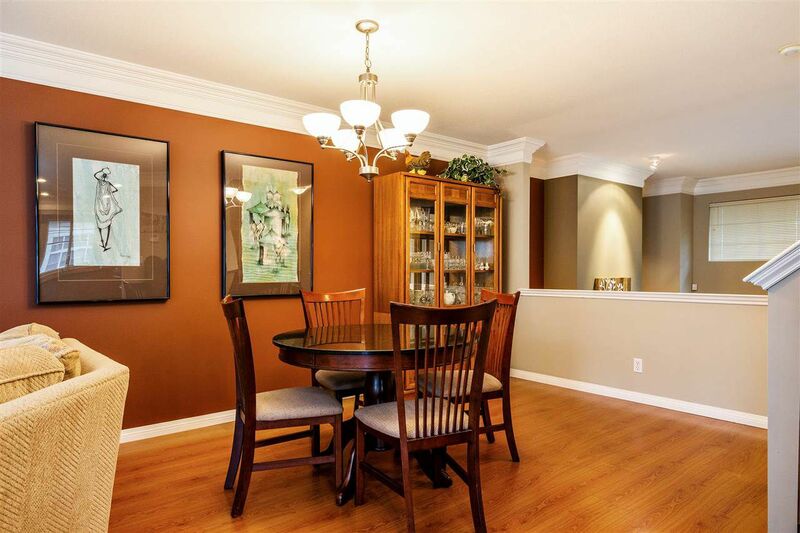 Beautiful crown molding along the main floor, with low maintenance laminate flooring. 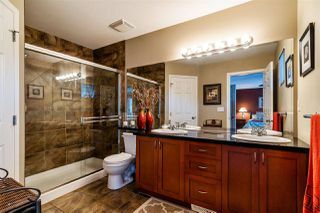 Great place to relax with family & friends. 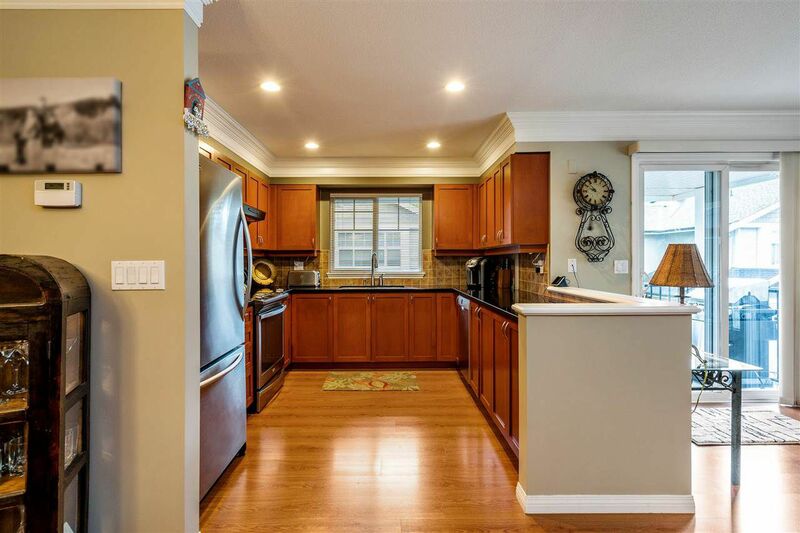 This bright, open space is great when your cooking dinner & wanting to spend time in the evenings with your family. 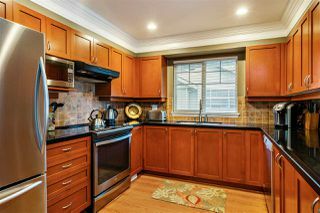 Open Kitchen with stainless steel appliances, west facing window & lots of counter space to prep your family meals! Note the pot lights, tile backsplash & crown moulding which complete this great kitchen. 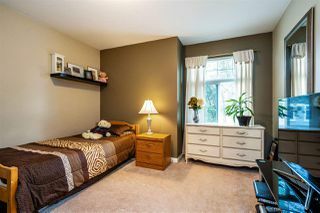 Large, bright Master bedroom with a walk-in closet. Ceiling fan is great for the warm summer evenings. 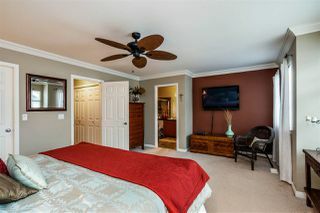 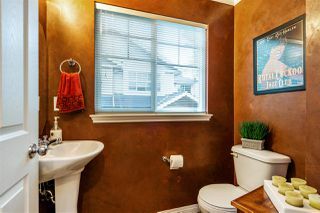 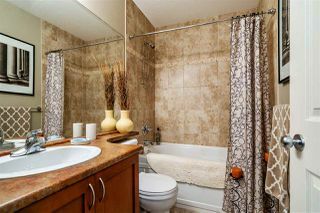 Offers a walk in shower, double sinks, & a walk in linen closet. 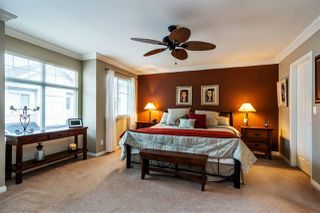 Wonderful bedrooms for family & friends. 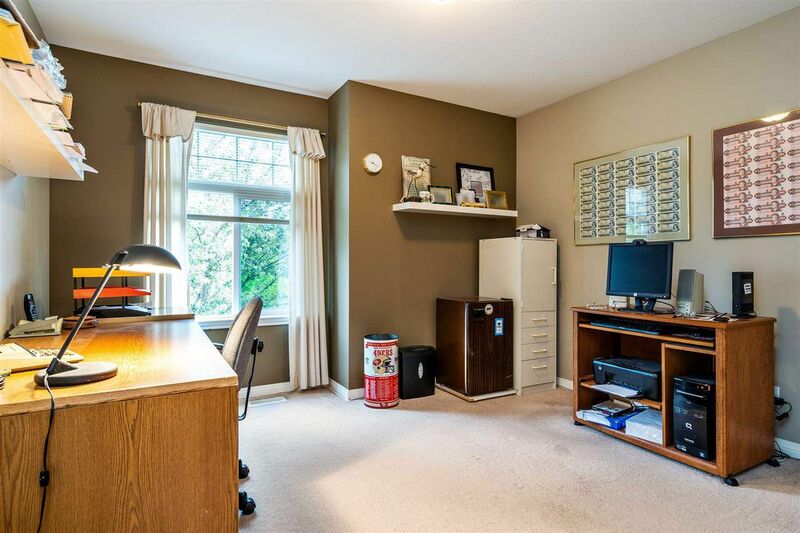 Enough space for a side table, couple of chairs & a BBQ. Fully fenced yard for the kids & the dog to run around safely. 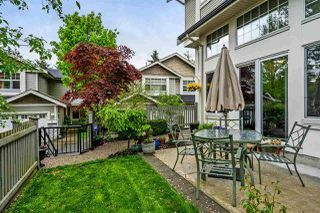 Mature trees & shrubs give color and a lil added privacy from the neighbours and the main road. 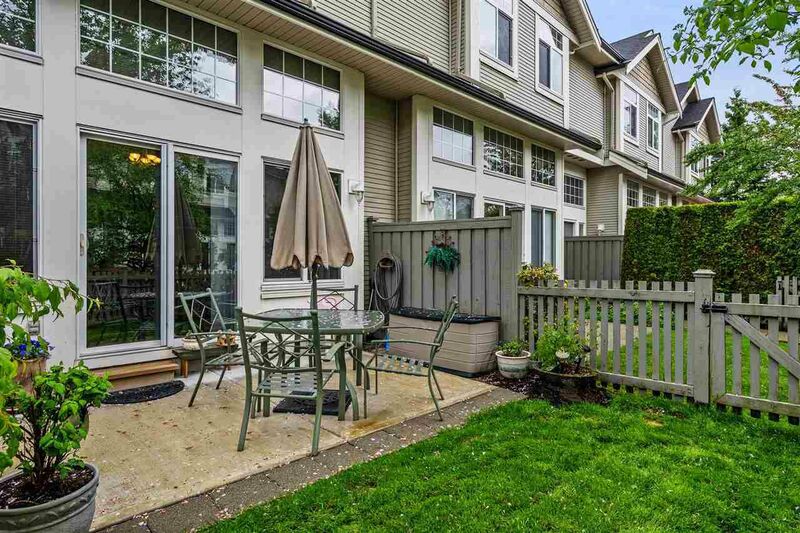 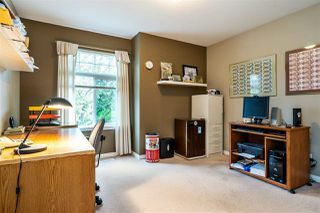 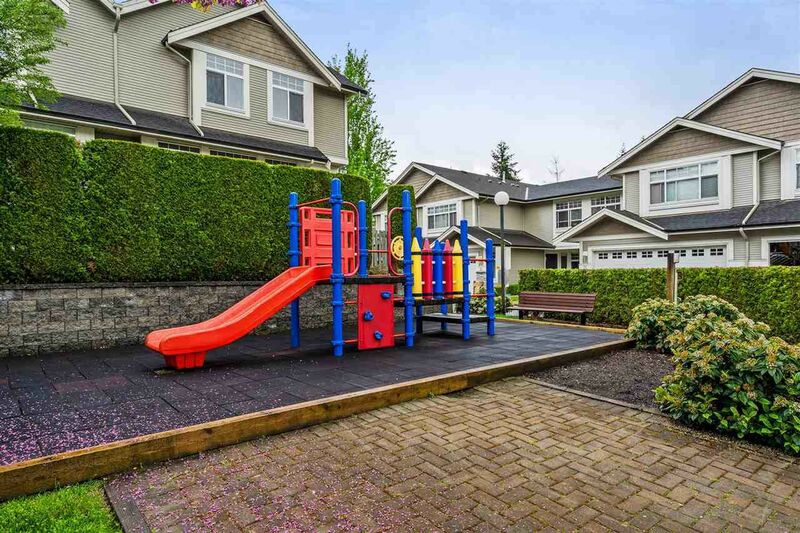 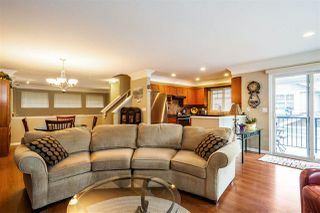 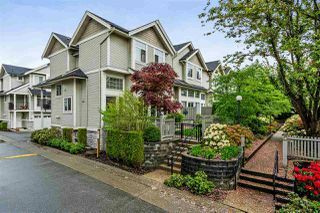 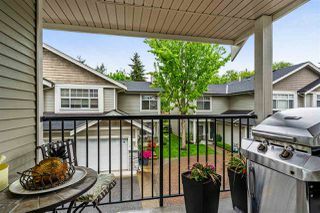 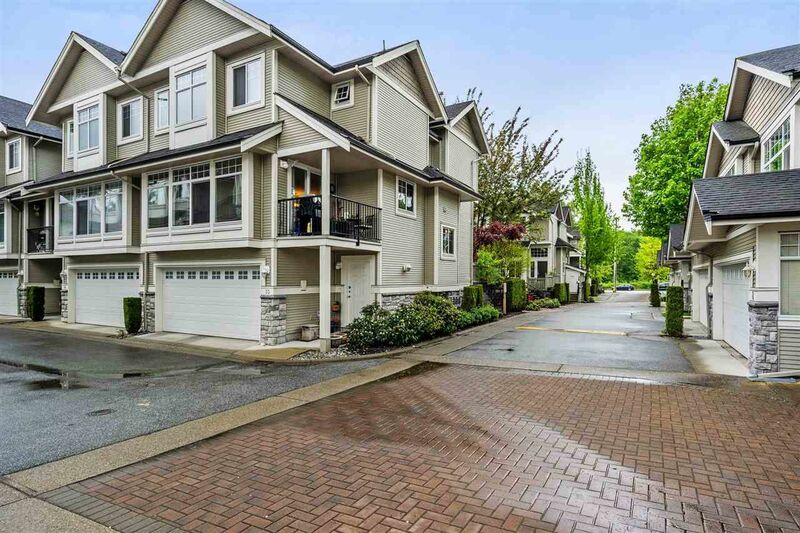 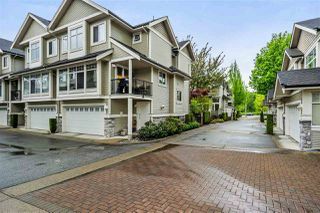 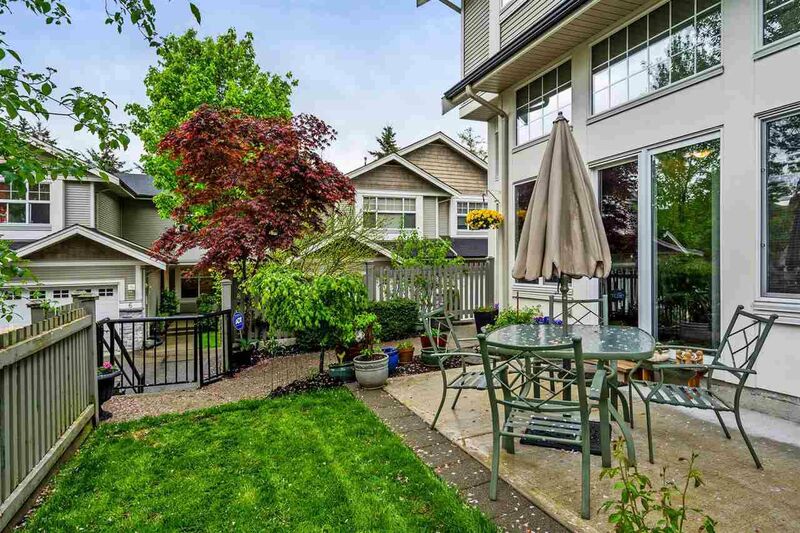 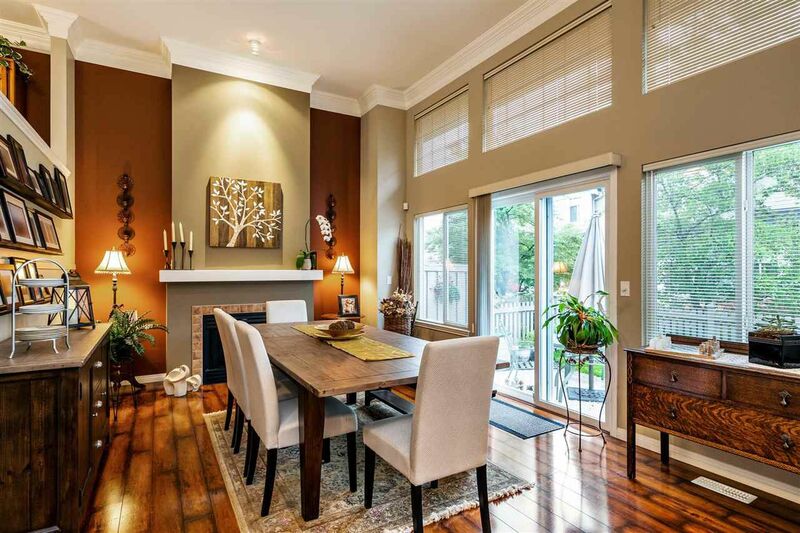 Great end unit townhome located in the sought-after neighbourhood of Kanaka Creek. 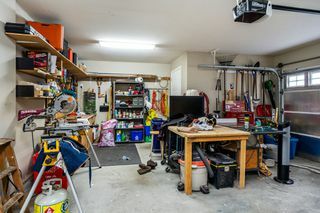 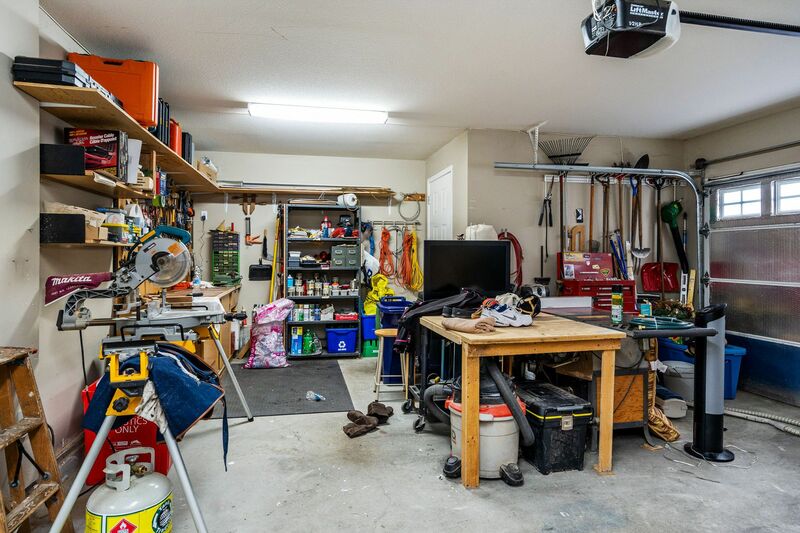 This LARGE garage not only has extra space for a workshop but also for a large, long truck.